When you operate a small business, it’s essential that you periodically evaluate your processes to ensure that everything is being done as efficiently as possible. One important aspect of this evaluation should be an efficiency ratio. This ratio is used to determine how effectively your business is using its assets and liabilities internally. There are a few different kinds of efficiency ratios, including turnover of receivables, the repayment of liabilities, fixed-asset turnover and the quantity and usage of equity. Efficiency ratios are used by analysts to determine how well a company is performing. Essentially, they report on a business’s ability to use its available assets to generate income. To calculate them, you’ll need some basic financial statistics, including your company’s total expenses and total revenue for the period in question. Your expenses should not include interest expenses since these are usually based on investment decisions, rather than operational decisions. The basic formula for an efficiency ratio is expenses divided by revenue. Here’s an efficiency formula example. Say your expenses in a given quarter were $20,000 and your revenue was $60,000. By dividing $20,000 by $60,000, you would get an efficiency ratio of 33 percent. This would mean that it costs your business $0.33 to generate every $1.00 of revenue. Generally speaking, the lower this ratio, the better. If your ratio increases, it usually suggests an increase in expenses or a decrease in revenue. What Does It Mean When a Return on Asset Ratio Decreases? Another type of ratio your company may wish to calculate is its fixed-asset turnover ratio. To calculate this, you divide your net sales by the total of your net property, plant and equipment aka PP&E. This is an equation commonly used in the manufacturing industry to monitor and improve output. A higher ratio indicates a greater efficiency in managing your assets. Another type of cost efficiency ratio formula is used to calculate the turnover of receivables. This shows how effective the company is at collecting on its debts. To calculate it, divide the net value of credit sales by the average accounts receivable. Both figures must be from the same period for this calculation to be accurate. This figure is important because companies who have a high level of uncollected receivables are essentially extending interest-free loans to their customers. It’s critical to have processes in place to ensure payment is received in full and on time. The repayment of liabilities ratio or debt ratio of a company provides an assessment of the company’s total leverage. It is equal to total debt divided by total assets and can be expressed as either a percentage or a fraction. The higher the debt ratio of a business, the more it is leveraged. This signifies a greater level of financial risk for the company since more of its assets are unavailable for its use. However, leveraging your assets may be an important growth strategy, such as, in the case of purchasing new equipment for your factory, a new location for your restaurant or additional delivery vehicles. Consequently, it must be considered as part of a holistic look at the business. Additionally, debt ratios vary depending on the industry. What’s right for some companies may not be appropriate for others. 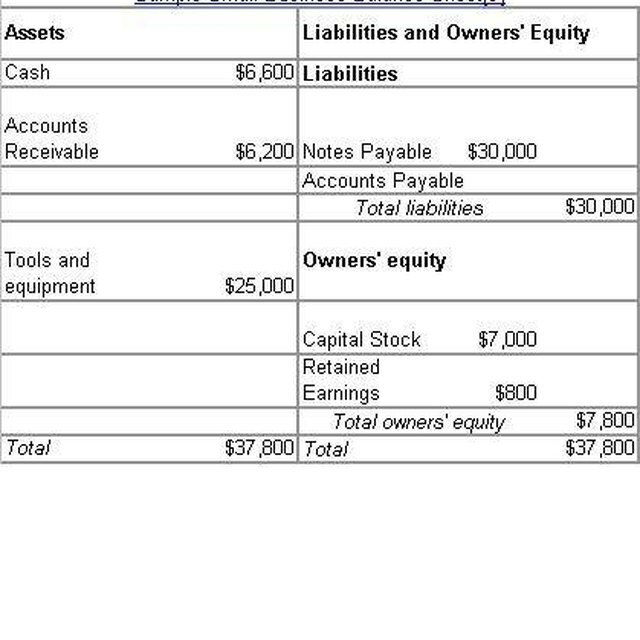 To calculate a company’s equity, you must determine the difference between its total assets and total liabilities. This is considered one of the fundamental ways that a business can determine its net worth, and it’s a key figure in evaluating a company’s effective use of assets. In some instances, you might also need to calculate shareholders equity, which is the amount of money that would be left to distribute to the company’s shareholders once all debts were repaid and all assets liquidated. Investopedia: How Do You Calculate a Company's Equity?